Crowds are expected to gather in the town on Easter Monday (April 22) to witness the unique display of artillery. 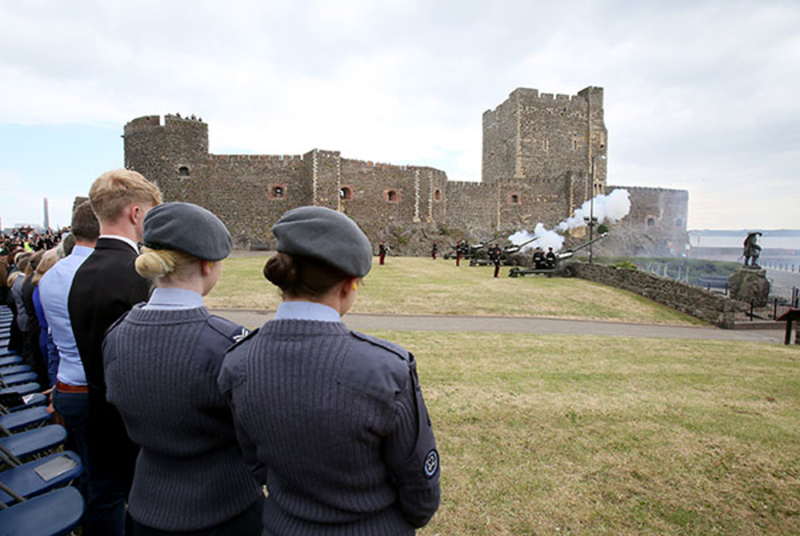 The shooting display will take place around 12 noon against the stunning backdrop of Carrickfergus Castle. This free event will consist of a short ceremony where large cannons will be fired in perfect unison. The public are encouraged to arrive at the Castle Green early in order to secure a position within the designated viewing area. Invited guests will then return to the Town Hall where some short speeches will be delivered. Mid and East Antrim has strong links to the Royal family and the military. In 1961 Her Majesty and the Duke of Edinburgh landed in Carrickfergus for the start of a two-day visit to Northern Ireland and Prince William and Duchess of Cambridge Catherine were granted the titles of Baron and Baroness Carrickfergus to mark their marriage. Last year, Council marked Prince Philip’s 97th birthday with a 21-gun salute which had an excellent turnout from residents and visitors to the Borough. This promises to be another fantastic event to celebrate Her Majesty’s birthday.